Algeria’s magistrates, who play a major role in supervising the country’s elections, said on Saturday they would boycott a July 4 presidential election in support of the protest movement. It was gathered that more than 100 magistrates organized a protest outside the justice ministry on Saturday in response to a call by the Magistrates’ Club, an emerging group set up as an alternative to the government’s National Magistrates’ Association. 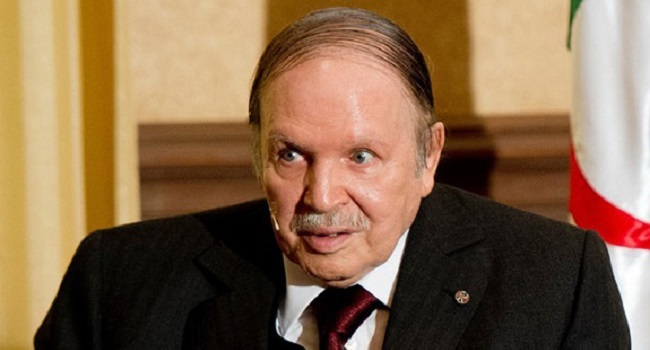 Protestors have held vast rallies calling for allies of ousted president Abdelaziz Bouteflika to step down after the embattled leader stepped down early this month, Aljazeera reports. They have overruled the July poll, stressing that elections cannot be free and fair if they are held under the same institutions as those of the Bouteflika government. Acting leader Abdelkader Bensalah however assured of a transparent vote but protestors called for him to leave office too.